5/29/13 by Ari Margolies- Growing up religious, I missed out on a lot that other kids enjoyed. But looking back, I wouldn’t change it. My bar mitzvah sucked. I’m 19, and I still haven’t quite gotten over it. A standard Orthodox affair, it ran about three hours and was attended by a multitude of suited adults whom I had never really met. I got up on a pew in front of a few hundred people and drably finished a mesechta of Gemara, which was followed by a few speeches by rabbis talking about what a tzadik I was. I refused to don a black hat, unlike many of my friends, and abstained from participating in the dancing until I was overpowered and dragged into the hora by a several overeager rabbis. No girls, no games, no fun. So, when I was recently invited to my friend’s brother’s Conservative bar mitzvah, I eagerly accepted. I had never been to one, and I wanted to see how the other side celebrated. It was the epitome of joy and accomplishment. The bar mitzvah boy was the center of attention, multicolored lights shining all around, pubescent boys and girls flirting and dancing, party favors being handed out, and the latest pop music shaking everyone’s eardrums. I was leaning tentatively against a wall in the back, shaking my head in disbelief, jealousy, and sorrow, watching the kids raucously dancing and participating a variety of games. Seeing what I missed out on because of my rigid childhood depressed me immensely. Since I began to distance myself from the Orthodox world in the past couple of years, I have spent much time bitterly believing that I was robbed of a childhood, that I would rather have grown up like everyone else instead. This Conservative bar mitzvah was only confirming what I’d been feeling. But then the party ended. And upon careful reflection, I realized that I was not cheated out of anything. Yes, the Orthodox aspect of my upbringing was unconventional, suffocating, and sometimes rather awful, but the things that seemed paramount to me at the time were, in the end, of no real importance. There is no denying that I missed out on much, but there was no void; normal childhood experiences were simply replaced with alternative ones. And looking back now at the ripe old age of 19, I can honestly say that I would not have wanted a “typical” childhood. 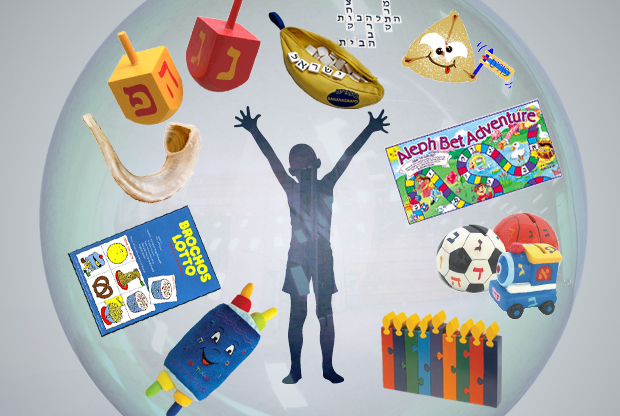 My entire childhood was centered around one thing: Judaism. Blessings were said before and after every meal and snack, davening took place three times a day, and much of my time, in school and out, was dedicated to Torah study. My mom would read me The Little Midrash Says  every night before bed up until I could read it on my own, and at least once a week I was bribed into learning with a rabbi, rebbetzin, or a rabbi’s studious son. Because of my Orthodox upbringing, I missed out on any media deemed inappropriate by my parents. The movies I was allowed to watch were almost exclusively rated G, video games had to be rated E (for everyone! ), the only TV channel permitted was PBS Kids, and I was allowed to listen to almost no secular music. Though I was usually obedient, I pined for a better selection of entertainment and would occasionally sneak behind my parents back to fulfill my urges; one can only listen to so much Schlock Rock and watch so much Arthur before going stir crazy. My infrequent rebellions were timid and even laughable. One time, at the age of 8, I was left with a lenient babysitter and had a hankering to listen to some good music. I sneaked upstairs into my older brother’s room—he was already out of the house and had long escaped my parents’ control—and snagged some of his un-kosher CDs. I burned several of them onto the computer and after leaning my ear close to the speaker to screen out obscenities, compiled my favorite songs onto a disc; it turned out to be an unholy amalgamation of Nelly, the Chevra, and the Step Into Liquidsoundtrack. I hid it in my room for a while and listened to it for some time, until I broke it in half and threw it away out of guilt. Growing up in Dallas, I considered sports my second religion, and watching Mavericks, Rangers, and Cowboys games was a major pastime. For big games, all my friends who did not have televisions would pile into my living room and crowd around the TV. My parents had a longstanding policy that even when I was allowed to watch TV, the commercials had to be shut off; something about McDonald’s advertisements and R-rated movie trailers rubbed them the wrong way. Breaking to go to minyan was mandatory, so large portions of the games were usually missed. I was very lucky because my dad had season tickets to both the Cowboys and Mavericks, and we spent much of our bonding times at the games. We would watch while munching bags of popcorn, raisins, and fruit that my dad had managed to smuggle in for “dietary reasons.” We would always pull our hats over our eyes when the cheerleaders came out, and we must certainly hold the title for saying maarivthe most times in the American Airlines Center. A typical youth would have things like co-ed birthday parties and school sports games to look forward to, but the special events that my friends anticipated were brises. They did not happen very often, maybe once every two months or so, but when they did, I was euphoric. It seems strange that the ritual cutting of an infant’s foreskin, and his subsequent blood-curdling screams, were among the highlights of my adolescence, but my fellow Orthodox youth will understand. After crowding around and jumping over each other to get a glimpse of the action, we were served free food and doughnuts and got to miss the first hour or so of school. Almost like Pavlov’s dogs, to this day, whenever I hear the swift snip of a scissor, my mouth waters and I get a craving for orange juice and bagels. My social interaction with females was stunted due to a total ban on interaction with them until high school. At Orthodox yeshiva day school, we were separated from the girls by large yellow doors splitting the building in half; the brave among us sometimes made the journey across and came back with tales of El Dorado and its longhaired natives. There was a kind of DMZ in the middle that contained the entrance to either side, the gym, a bais Yaakov  that we shared a building with, and a science classroom. On a good day we would get a fleeting glimpse of the girls going to science class or taking the long way to the gym. For most of the kids, the only other time that they would even get a glimpse of nonrelated girls was during carpool, where even the school administrators agreed that it would be absurd to erect a mechitza across the backseat of each car. Apparently I was a favorite among the girls, because I would get an occasional note in my locker professing forbidden love to me. I was too cowardly to respond, though, so nothing ever went anywhere. I was once invited to a co-ed birthday party where the most scandalous thing that would have gone on was sitting next to a girl, but as soon as my mom found out that girls would be there, she shot that plan down faster than you could say shomer negiah . I really did wish that I was allowed to socialize with girls, but even if I could I would have had no idea how to. If a girl my age crossed my path, my heart would begin to beat out of my chest and I would look down, embarrassed. I once harbored a ludicrous fantasy of taking a girl I had a huge crush on to Six Flags, holding her hand when a roller coaster dropped, and spending the day with her, free of stigma or tension. It never got past the daydream stage. I was missing out on a lot. But it wasn’t until I was 14 that, for the first time, I really felt like I was missing something. After my eighth-grade graduation, all five of my fellow male graduates came over to my house for a swim party. While everyone else was splashing about in the deep end, I was sitting by myself crouched over with my hand on my head, sullen, on the steps: As soon as I entered the pool, I had heard the gleeful screams of boys and girls together at a co-ed pool party, coming from my neighbors’ yard. I did not immediately realize why, but their merriment aroused a sense of melancholy within me that I had never felt before. It took a few minutes of contemplation, but I soon become cognizant that, for the first time, I was truly jealous of those living outside my bubble. I woke up the next morning, just as depressed as when I had gone to sleep, and went to morning prayers. I tried to pray away my demons, but hard as I tried, I could not shake the feeling that I was missing out. I was set to go to yeshiva for the upcoming school year, and I suddenly felt like I was going from the eighth circle of hell to the ninth. Things were not going to get any more fun or interesting, there was not going to be any major shakeup in my life, brightening things up. I felt like I was doomed to stay in my bubble forever, while things that could have provided me with enjoyment, no matter how superficial, were going to be filtered out. This realization haunted me over the summer and throughout the beginning of yeshiva. I suggested to my parents that I would like to pursue other options for high school, maybe a slightly liberal yeshiva boarding school, or stay with family and go to an actual yeshiva high school. They shot down all of my proposals. I was still steadfast in my adherence to Judaism, but it was hard to fully appreciate it when it felt like it was a barrier keeping me in, rather than keeping the bad stuff out. My relationship with Judaism at this time was very precarious. The thought of leaving it all was unfathomable, but my yearning to see what life was like on the outside reached an all-time high. I wanted to maintain my observance but still have a taste of the forbidden fruit of secular culture. I eventually convinced my parents to let me switch to a non-Jewish school in the middle of ninth grade. There I had my first taste of bona fide secular culture: co-ed interaction, drug talk, Pizza Hut for lunch (from which I abstained). It was much more terrifying than I had ever imagined, though, and I left after one semester. I wondered if I would have been able to embrace it more if I had grown up in a less religious fashion. My discontentment continued to grow until I went to that Conservative bar mitzvah; after that I realized that the way I grew up was not all that bad. Because much as I’d missed out on things that the kids at this bar mitzvah took for granted, I finally understood that they, too, had missed out on things that I had enjoyed growing up Orthodox. I got to go to a Shabbat morning youth group, where memorizing mitzvahs earned the participants prizes. For school we had the option to attend special Sunday morning learning sessions where we studied Talmud to earn our spot on a field trip to Brooklyn. To raise money for the trip, we filmed a class Purimspiel, which I had the opportunity to star in. There was no mistaking the joy that would overtake my adolescent heart when my eyes locked on those of a pretty girl whom I had a thing for during kiddush at shul: We knew staring was all we could do, but the forbidden love was no less tantalizing. When I was a kid, I thought that every aspect of my upbringing that I was not happy with was the end-all and be-all. I was a myopic child and did not realize that the things I pined for really were all not that great; it was all just a case of looking over the fence and seeing what seemed like greener grass. I now watch any movie I wish to, but I have found that they have a tough time keeping my attention; I prefer reading. Hanging out with girls turned out to be nice, but the joy of merely hanging out with them wore off a while ago. I still struggle daily with what it means to be a Jew, and I don’t know what my future as a Jewish adult will look like. But now, when I look back at my childhood, there is no longer a sense of resentment or desolation. I can see my younger self waving at me from inside the bubble, happy with how I turned out, and a lot better off then he realized. Ari Margolies is currently finishing his gap year in Israel. A native of Dallas, he plans on studying creative writing in college.